ADT—one of the most trusted names in home security—offers two security cameras equipped with remote viewing capabilities, mobile control, and a subtle aesthetic that blends in well with any home. Keep reading to learn more about ADT’s indoor and outdoor security cameras to see if they’re the right fit for your house. ADT’s surveillance cameras offer motion detection, cloud storage, live viewing, and mobile app access—all features we’ve come to expect from higher-end security cameras. To take advantage of all the features available, you’ll need to pair you ADT cameras with an ADT Pulse monitoring package. This sleek little camera is perfect for helping you keep small kids out of your storage room, checking on your dog while you’re stuck late at the office, or capturing footage if someone does actually break into your home. An outdoor security camera can help catch package thieves and discourage burglars. But it can also let you see who is coming and going from your house, whether it’s your kids coming home from school or your neighbor coming to water your plants while you’re away. ADT doesn’t support third-party cameras, so while you can still install other security cameras in your home, they won’t sync with ADT equipment and ADT won’t be able to monitor them. Are ADT’s cameras right for you? If you’re a fan of ADT’s monitoring service and other security equipment, it makes a lot of sense to add ADT cameras to your setup. If you’re not already invested in ADT, you may want to consider other security cameras with wider coverage and higher resolution. To learn more about ADT monitoring services, read our full review. 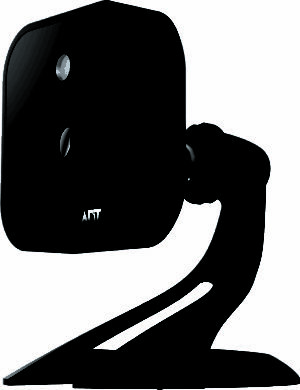 Have you used ADT security cameras in your home? We’d love to hear from you. Share your thoughts in the comments below.